Merry Christmas … Umm, Exterminate! Exterminate! 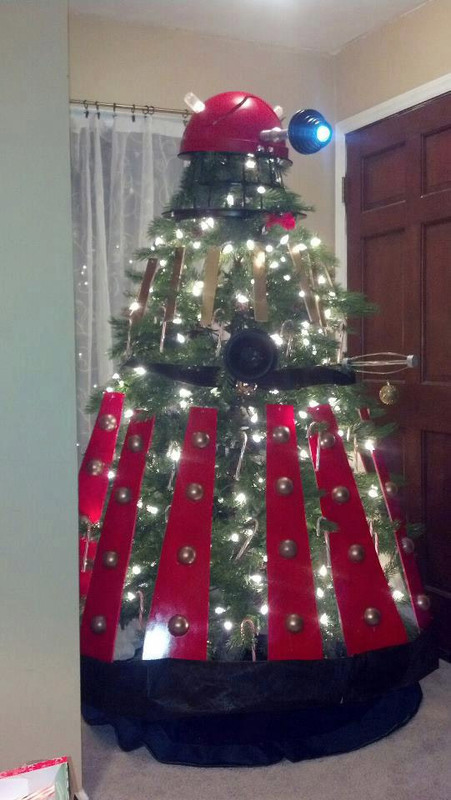 We’re not sure what you’ll find under a Dalek Christmas tree, but it’s probably not good. Still, we’re impressed by the effort even if Santa avoids the house for fear of extermination.